With technology just a few months on the market it is possible for devices to be connected to the internet without 3G or WiFi. It is called LoRaWAN. The Things Network is on a mission to provide this technology globally through through their crowd sourcing initiative. The Things Network managed to launch a network covering Amsterdam in six weeks. 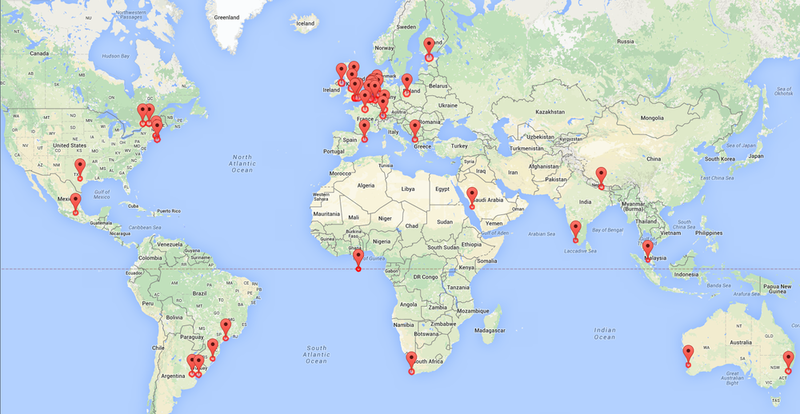 Eight weeks later Sao Paulo, Boston, Buenos Aires, Kochi and Sydney were doing the same. They enable DIY-ers and citizens to build a carrier grade network using bottom up approach.In October 2015 they started spreading their network through a Kickstarter campaign. 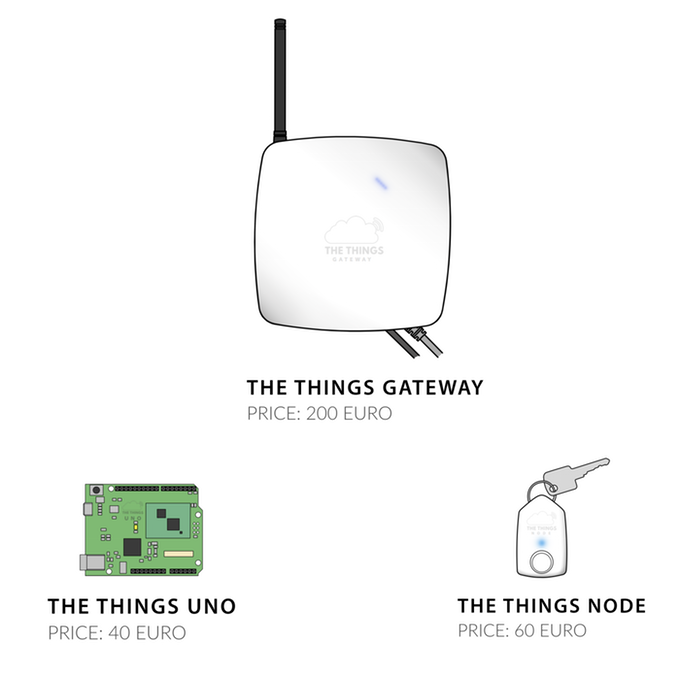 The production costs for 1000 LoRaWAN gateways and 2000 LoRaWAN development nodes, The Things UNO and The Things Node was crowdsourced. The hardware will be all shipped by July 2016, the moment when this will expand their network 100 times. The strength of their initiative is in the bottom up, open and decentralized approach. Because they open source all their knowledge and IP, it is very easy to replicate and to expand globally. The technology is allowed in almost every country in the world. To provide the active community with affordable LoRaWAN hardware which is easy to use, TTN decided to work with Microchip, the only supplier to date that makes a CE and LoRa Alliance approved module for gateways. Wienke Giezeman, Initiator of TNN, says “We joined forces to develop the 200 euro gateway together. The partnership with Microchip has two main up sides for the community. Firstly it shows that this gateway, while being over 3 times cheaper than anything else available on the market today, lives up to the high standards and can be used in the same way the “professional” ones are being used now. Secondly developing our Node and UNO prototyping hardware with the Microchip modules gives us a level of open hardware that we want to supply. Also these are open sourced, our aim is to enable people to replicate our efforts without having to work with us.” explains Wienke, Initiator of The Things Network. This means that you get the circuit designs, code and parts list. In this way everyone can replicate the Things Network products or create their own products from it. And it should not matter if you are making 1 or 1000 items. Working with Microchip allows every maker in the world to just order the really specific LoRa chips from them and use it on the circuits the things network will supply. This way no one has to worry about CE or radio approvals on the LoRa part while still being able to make their own Things Network hardware.